I frequently end up in conversations with moms who have typical children, and we almost always end up on the topic of what-do-I-do-when-my-kid-sees-someone-different. Unfortunately (or fortunately, as it may be), being a mom of two girls with very different special needs, I often get asked this question. It’s valid and even really a necessary one for those who genuinely want their kids to be exposed to people of all varieties. I admire those parents who strive to answer this question. The question remains, What do we do to make sure we value those people who sit on the fringe of society because of their differences? How do we welcome them and move beyond mere tolerance or acceptance? Let me offer you a few practical tips on how to encounter a child with special needs. These are all written from my own experience as having children who are different. 1. Don’t be afraid to approach the parent first. So many times I see a mom whisk her kid away in embarrassment upon quick appraisal of Sarah’s visible differences, and I wish that she would have had the gumption to simply approach me. Yes, it takes courage. Yes, it will lead you outside of what’s comfortable, but so what? Is anything in life that’s worth much at all truly comfortable? On the few occasions when a mom’s child makes a comment or asks a question about Sarah’s craniofacial condition and she actually walks over to talk to us, I am flabbergasted – in a good way, of course. But I always welcome them with a smile. You see, most of us caregiver-parents are more than happy to answer your questions. Naturally, they should be thoughtful ones. Nobody wants to hear something like, “May I ask you why your child has such a weird-looking face?” But if it’s phrased with sincerity, we will almost always be open to discussing it with you, because it does two things – one, it educates you about our child’s differences (which eliminates or at least drastically reduces the fear factor), and two, it allows us to engage in meaningful conversation with each other. You and I are both left enriched and better for it. This point should go without saying, but unfortunately it needs to be frequently reiterated. When you see someone in a wheelchair, someone with leg braces, someone who drools or talks loudly, just smile and make eye contact. Seriously, do you know how impressionable this is? And how lacking? I mean, all it takes is for you to acknowledge that my child is a valuable person. You don’t need to immediately delve into a deep conversation about life and death (though that certainly may happen naturally on occasion). All you need to do is smile, wave, say hello, and move along. No harm, no foul. What this does is model to your own children that people are people, regardless of differences. It also may invite further conversation with your child in private about how some people are born to look differently than others, and this is a good thing. I realize at a particular developmental age children all want to be the same, dress the same, act the same. But instill in them the concept that different is good at a young age, and they will be all the better for it. 3. Get to know the family. If you become closer to the family as a whole, you may be surprised to learn that they are typical in some ways. Yes, their lives may revolve around changing dressings or cleaning medical equipment. They may have myriad appointments and multiple therapy follow-ups, but they are still a family. They laugh. They enjoy fantastic moments of enlightenment, closeness, and joy. If you are brave enough to get close to them, you may find a kinship or sense of camaraderie with their lives. 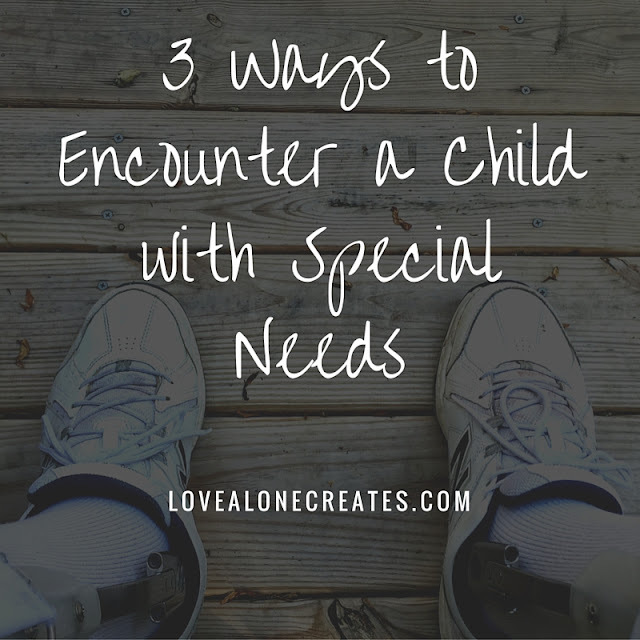 Families who have kids with special needs offer a unique perspective to the world – while very much mainstream in their interests and lifestyles (like going to work, cleaning house, cooking, etc), there is a rare depth to them that does not tend to exist in typical homes. Get to know them. Befriend them. Don’t be afraid to get close to those who are caregivers. Yes, suffering is uncomfortable. To be faced with it on a daily basis can be excruciating. I realize that our children’s visible differences are raw reminders that suffering exists and can be ugly and unbearable. But don’t let that stop you from a potentially life-changing relationship with both the parents and children. It’s likely to be a mutually beneficial situation. 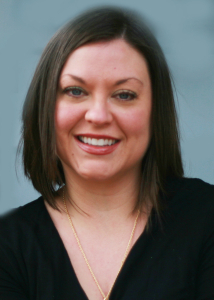 Jeannie Ewing is a writer, speaker, and grief recovery coach. She is the co-author of Navigating Deep Waters: Meditations for Caregivers. Jeannie was featured on NPR’sWeekend Edition and Tony Agnesi’s radio show Finding God’s Grace. For more information on her professional services, visit her websites lovealonecreates.com orfromgrief2grace.com. Text Copyright 2016 Jeannie Ewing, all rights reserved. Image Copyright 2015 “Disability” by gmwolford on Pixabay and edited in Canva by Jeannie Ewing.